If you’ve ever tried to reduce your caffeine intake, you know it can be really difficult. In my own experience, quitting it cold turkey can cause headaches that go on for several days. It has also made me feel fatigued or like I can’t wake up. My body was so used to relying on caffeine for stimulation. 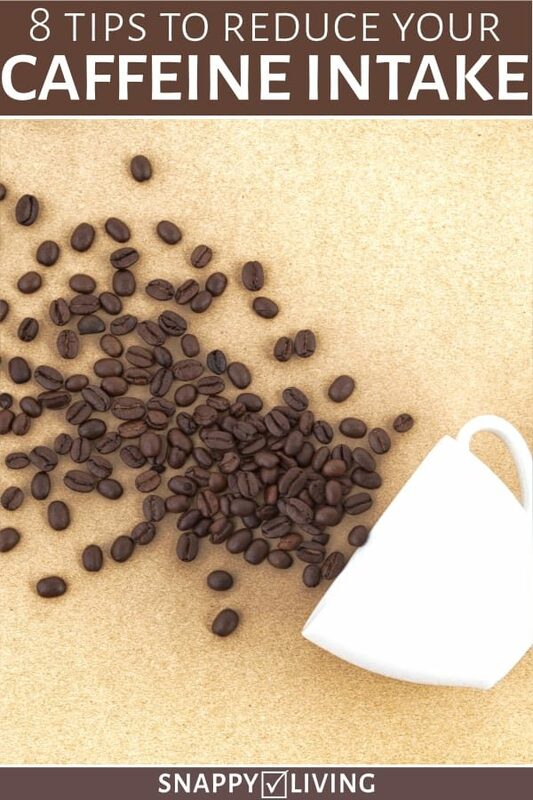 But if you want to reduce or cut out your caffeine habit, these simple tips can help make it as painless as possible. 1. Cut down gradually. Going cold turkey off caffeine can be much harder on your system than cutting it down gradually. It can cause tremendous headaches, irritability and all sorts of other miserable symptoms. Instead, try gradually reducing how much caffeine you drink. If you drink 6 cups of coffee/tea a day, cut back to 5 for a few days, then 4, then 3 and so on. If you’re wanting to get below one cup a day, then keep going to one cup every other day, then every three days, and so on until you feel like you can leave it behind. 2. Switch to decaf. If you’re drinking less caffeinated coffee, decaf can give you all the pleasure of drinking coffee except the caffeine rush. Don’t listen to people who say it doesn’t taste as good – there are plenty of blends that taste great. My favorite is Melitta Classic Decaf, followed by Dunkin’ Donuts Decaf. The Melitta in particular actually tastes better than a lot of caffeinated blends you can buy. 3. If you choose to go cold turkey, do it during a time when your life isn’t very demanding. Expect withdrawal headaches and fatigue. 4. I found that drinking lots and lots of water seemed to flush the withdrawal toxins out of my system faster. This is especially important if you go cold turkey. 5. I used ginseng or Vitamin B-12 supplements to boost my energy to the level I was used to. After about a week, my normal energy levels returned and I didn’t need the supplements anymore. I found I actually had more energy than I’d had with caffeine. 7. Another method of gradually cutting down is to dilute your coffee more and more over the course of a few days with milk, water or decaf. This has worked for friends I’ve talked to. If you’re making coffee at home, you might benefit from having a single cup coffee maker that uses real grounds instead of cups. You can mix half caff and decaf, 1/4 caff and 3/4 decaf… whatever blend you’re at in your process. 8. Switch from coffee to black tea, then to green tea, then to decaf herbal. This brings your caffeine intake down in stages, and has also worked for some friends of mine. 9. Remember sodas. Most sodas have caffeine, but much less than coffee. You can use them to replace coffee temporarily while you adjust to less caffeine. If you want to cut out all caffeine, remember to eventually switch to caffeine-free sodas as well as cutting out coffee and tea. You’ll have plenty to choose from, and I can’t tell any taste difference from the caffeinated versions. 10. Chocolate can be a crutch during withdrawal. If you have terrible cravings for coffee while you’re trying to cut down, have a small bite-size piece of chocolate instead. It has some caffeine – enough to satisfy the craving. And dark chocolate can be healthy in several ways.